We know how busy life as a Torero can get. That’s why we’ve developed some helpful apps to help you stay focused on the important stuff. 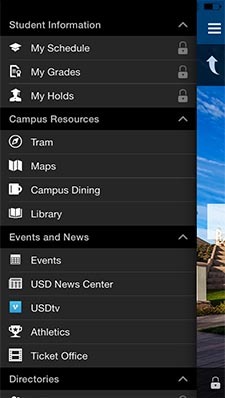 Whether you’re a student, alumnus or faculty member, there is a USD app for you. 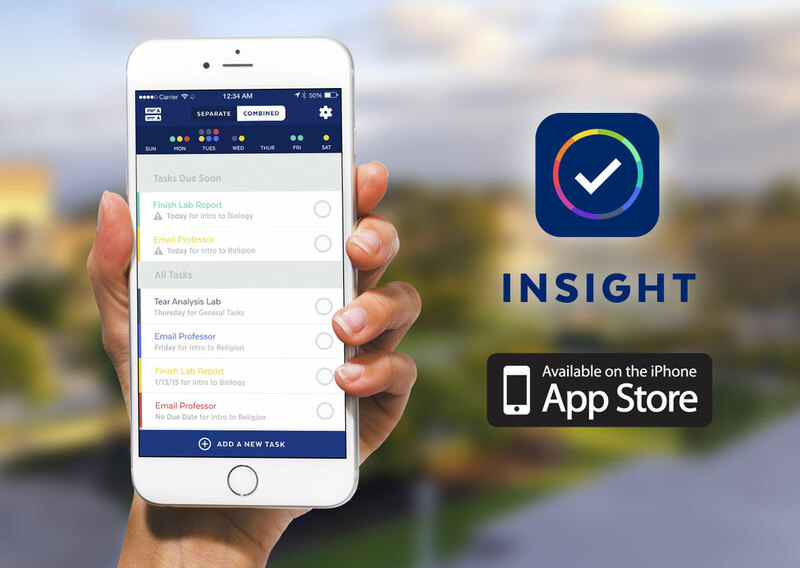 Insight is the world’s most powerful student task management app. Designed for USD Students, Insight, helps you get ahead and stay ahead. Learn more about Insight. Connect with the University Ministry community, send and request prayers, get notifications, discover prayer spots and receive an inspirational quote of the day. Want the latest information about the University? Then look no further than your smartphone! 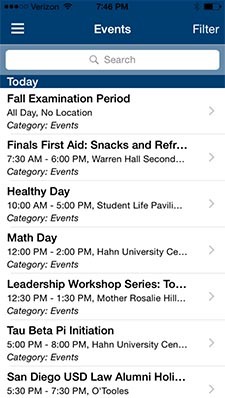 The MySDMobile application suite can be used to view a GPS-enabled interactive map of the college’s campus, including where particular classes are located, call or e-mail faculty and staff members using the directory feature of the application, get information on scheduled courses, and browse through the university’s library catalogs. In addition, you can view images of our beautiful campus, university content on YouTube or iTunesU, and get up-to-the-minute college sports scores. Wish you knew who attended your event? 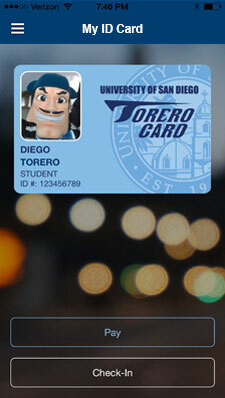 USD Kiosk provides a simple way for your students or audience to check-in and check-out with their student ID or email. Designed for USD Law Students, Faculty, and Staff. Check your schedule, grades, holidays, maps, tram schedule, upcoming Events, and access the research library. 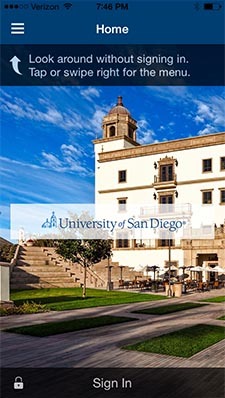 If you’re a USD Applicant, download this app to stay in touch with USD and Login directly to the MySanDiego Portal and learn what it really means to be a Torero. Check-in attendees and validate attendance with a USD ID Card Swiper. Easily connect attendee lists and profiles in the CRM for better event marketing and follow-up. We need your help to test our upcoming applications. 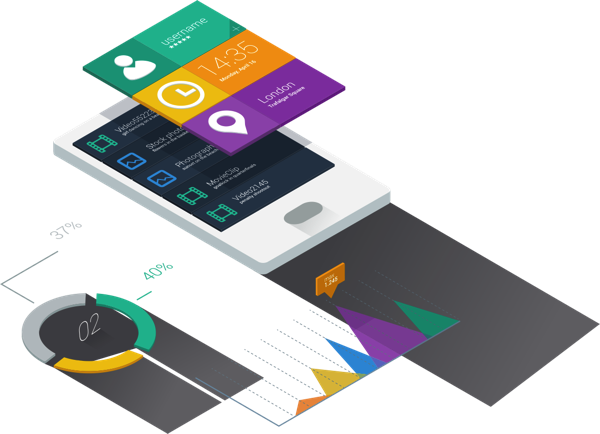 Sign up today to gain beta access to never before seen apps.